Whether it is in television or movies, the soundtrack (or score) plays a pivotal role in bringing a story to life. There is no greater example of this than the music of the TV series, featured on Eclectic Pop’s list of TV’s Top Costume Drama Soundtracks. Thankfully, Spotify has a wide selection of songs as part of its library, and the music from many costume dramas are included. From "Game of Thrones" to "Medici" -- over twenty songs spanning five TV shows have made it on the following playlist of personal favorites. How could "Game of Thrones" enrapture in its opening minutes without its stellar opening theme? What would “Poldark” be without Anne Dudley’s swirling score to transport listeners to the cliff tops of Cornwall? Would “Victoria” register with as much regal eminence, without the majesty of Martin Phipps’ intro music, and Ruth Barrett’s score? Exactly. Composer Ramin Djawadi’s outstanding soundtrack for “Game of Thrones” is one of the key components to making the HBO hit, feel cinematic. While John Lunn’s shyly menacing score gives the 2014 miniseries, “The White Queen,” a regal edge. When it came to narrowing down the best songs from each soundtrack, some choices were rather evident. Since “The White Queen,” “Victoria,” and “Game of Thrones,” all revolve around an all-powerful throne, it should come as no surprise that all of their soundtracks feature a song, entitled “Coronation.” Each show's take on the concept made Eclectic Pop's playlist, and that is not all. You cannot experience the “Game of Thrones” soundtrack without the opening title, so it obviously made the cut. “The Winds of Winter” and “Winter Has Come” also come into play along with some Season 7 standouts. Despite both centering on winter, composer Ramin Djawadi creates an entirely unique sound for each song. “The Winds of Winter” was the title track for “Game of Thrones’” Season 6 finale, while “Winter Has Come” is the closing song, which underscores the epic fruition of House Stark’s long-promised forewarning. Two other songs to make it are “The Tower” and “Blood of My Blood.” Like some of the other tracks included, these are also strikingly different. “The Tower” features a predominantly soft melody, which later culminates in a stirring finale. The appropriately large swell towards the end of “The Tower;” signals a game-changing moment for one of “Game of Thrones”’ central characters. “Blood of My Blood” on the other hand, is rousing from beginning to end, an exhilarating number with big crescendos throughout. Martin Phipps and Ruth Barrett have created a royally haunting sound for the TV series, “Victoria.” The central theme is backed by a choir singing “Gloriana,” and there is an unshakable quality to it that instantly transports you to England in the '1800s. Or at least what movies, books, and TV have historically told us it sounded like. The theme song was composed by Phipps, and it serves as the centerpiece to every other song on the “Victoria” soundtrack. It is the throughline that touches every piece of music heard on to the costume drama. As Phipps’ opening theme serves as the ever-present thread that ties it all together. It is that steady flow in between tracks that beautifully broadens “Victoria’s” overarching impact. Thanks to the consistency of its central theme, the show's soundtrack does not allow the mind to wander off with the distraction that any overtly altered accompaniment would create. It has a sharp degree of focus, any monarch would appreciate. The score for “The White Queen” is a lot like its central characters. It is frequently unassuming, delicate, yet fierce. Composer John Lunn elegantly crafts a sonic counterpart to those attributes, and the intense series, by imbuing it with an unequivocal magnificence. Featured on the playlist is the title track “The White Queen,” “Coronation,” “Destiny,” and “Birth, Marriage, Death.” All of which sum up “The White Queen” as it is, a series that is as beautiful as it is gritty, grand, and dangerous. Anne Dudley’s marvelous score is as enthralling as the series itself, and “Poldark” heavily utilizes its musical backdrop to engage viewers. As Ross Poldark (Aidan Turner) gallops to and from the home he shares with wife, Demelza (Eleanor Tomlinson), Dudley’s score capitalizes on every romantic nuance. With a soundtrack filled with as many delights as "Poldark's," it was hard to narrow down the ultimate selection. In the end, the central theme from “Poldark” made the cut, along with the “Poldark Suite,” “Love of My Life,” and “Resurgem.” The lastly mentioned number is an uplifting and profoundly contemplative track, which captures the series’ overarching tone, as a drama pleasantly consumed in its characters’ highs, and lows. Of course, you cannot have a playlist that highlights "Poldark" without a song (or two) from Demelza. In the end, two iconic Demelza songs made it. “Medhel an Gwyns” and “I’d Pluck a Fair Rose,” both sung by multi-talented actress Eleanor Tomlinson. How and where to watch what you have listened to. 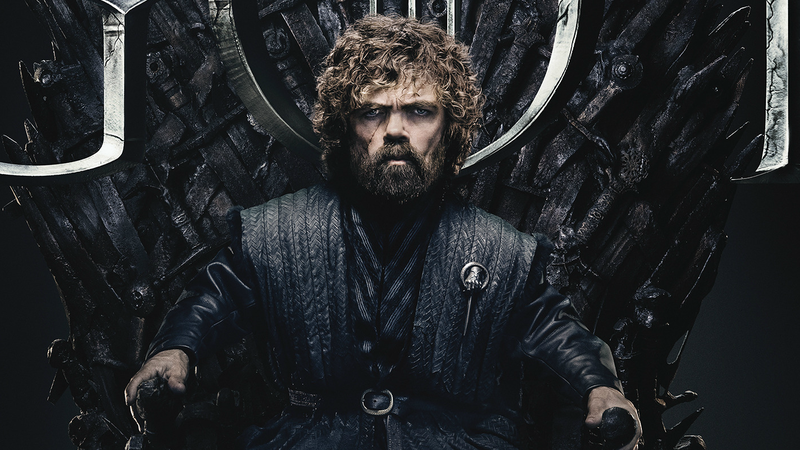 - The eighth and final season of “Game of Thrones” premieres Sunday, April 14 at 9 p.m. ET on HBO. - The first two seasons of “Victoria” are currently available to stream on Amazon Prime. - “The White Queen” is currently available to stream with an Amazon Prime membership. 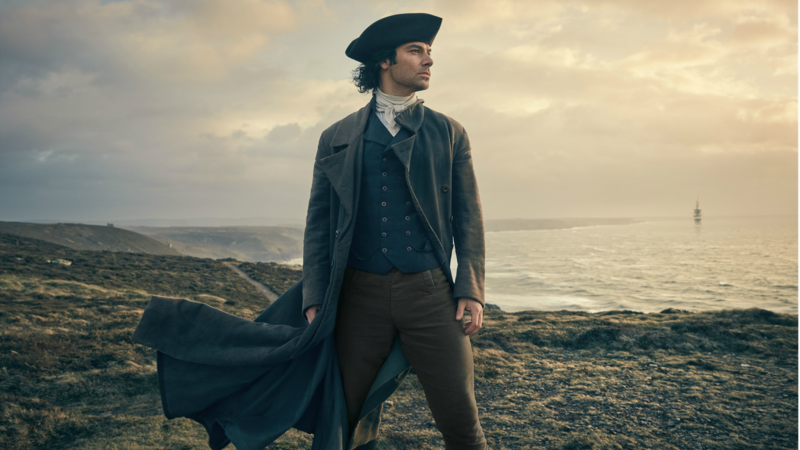 - Seasons 1 through 3 of “Poldark” are currently available to stream for free with an Amazon Prime subscription. The fourth season should be forthcoming. A release date for the series' fifth and final season is pending. 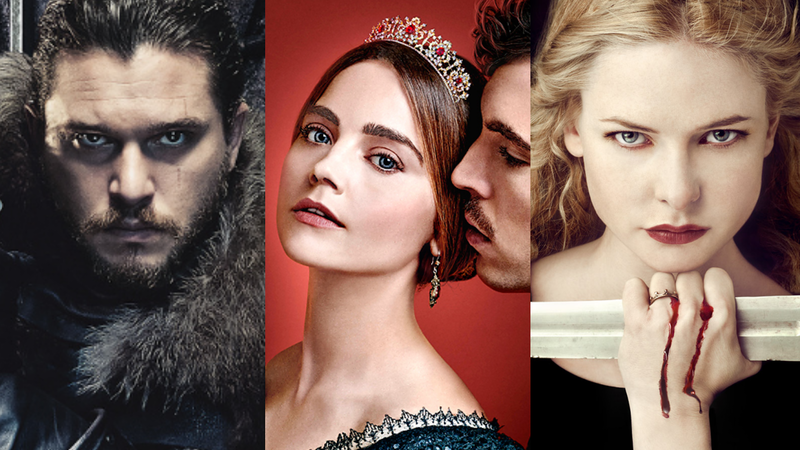 Has any of this convinced you to give Eclectic Pop’s playlist of TV’s Top Costume Drama Soundtracks, a listen? If so, just scroll down and listen via the Spotify embed below. Otherwise, here’s the link to check it out on Spotify.